Jackson Pollock, Blue poles, 1952, oil, enamel, aluminium paint, glass on canvas, NGA © Pollock-Krasner Foundation/ARS/Copyright Agency. 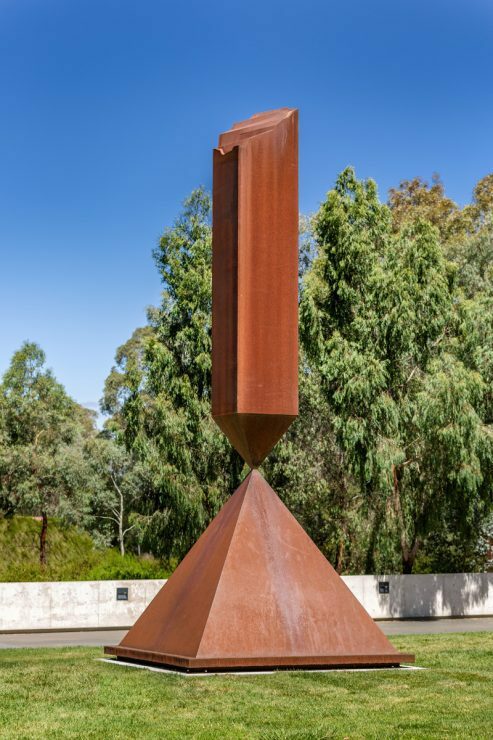 Barnett Newman, Broken obelisk 1963/67/2005, weathering steel, © 2018 The Barnett Newman Foundation, New York/ARS, New York/Copyright Agency. 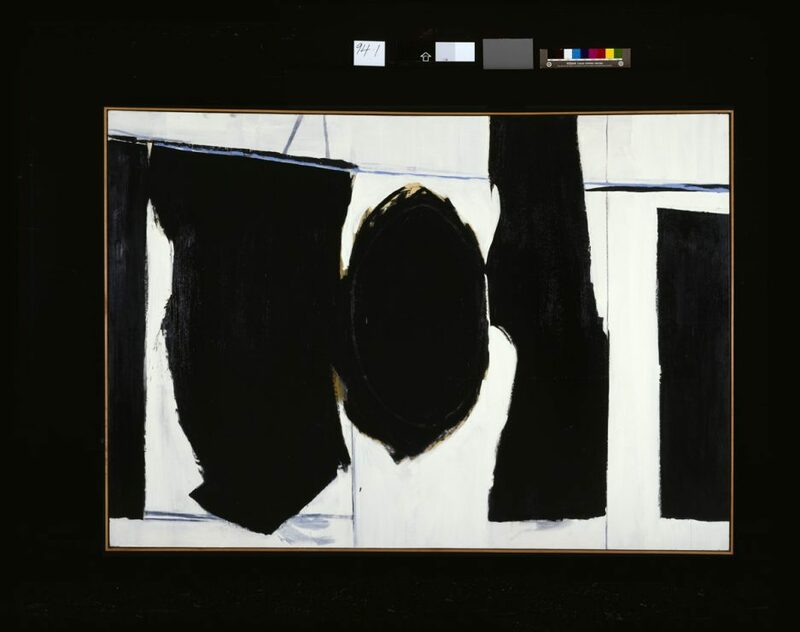 Robert Motherwell, Elegy to the Spanish Republic, 1958 synthetic polymer paint on canvas, NGA. Purchased with the assistance of American Friends of the National Gallery of Australia Inc., New York, NY, made possible with the generous support of The Dedalus Foundation and the Foundation of the National Gallery of Australia 1994 © Dedalus Foundation, Inc./VAGA/Copyright Agency. 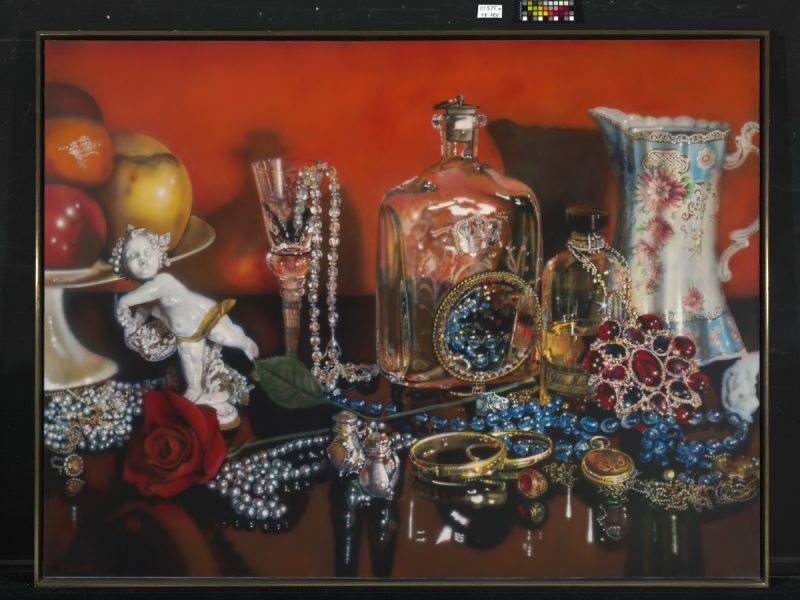 Audrey Flack, Jolie madame [Pretty woman], 1973, oil on canvas, NGA © Audrey Flack. Frank Stella, Flin Flon, 1970, synthetic polymer and fluorescent paint on canvas, NGA. 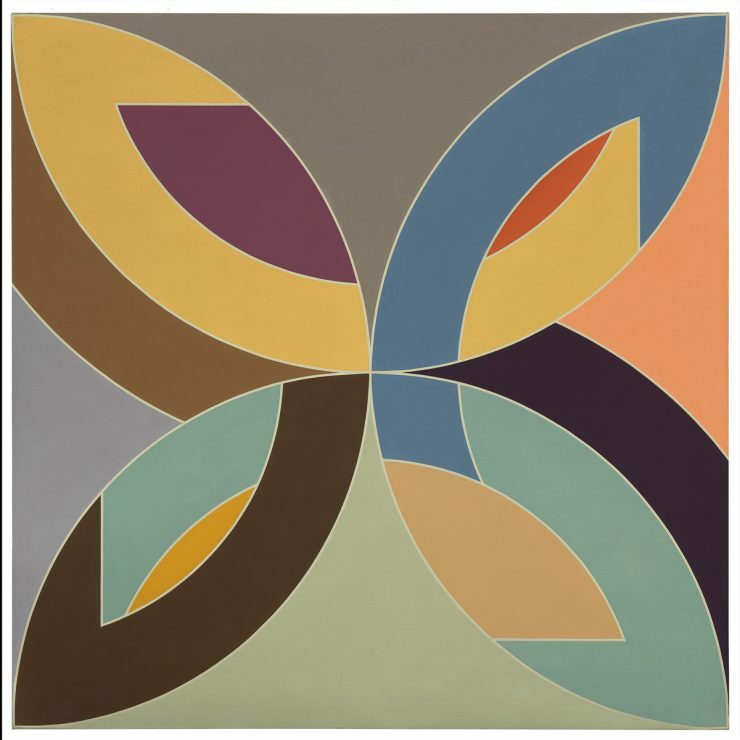 Purchased through the NGA Foundation with the assistance of Terrey and Anne Arcus and Penelope and Harry Seidler 2002, © Frank Stella/ARS, New York/Copyright Agency. 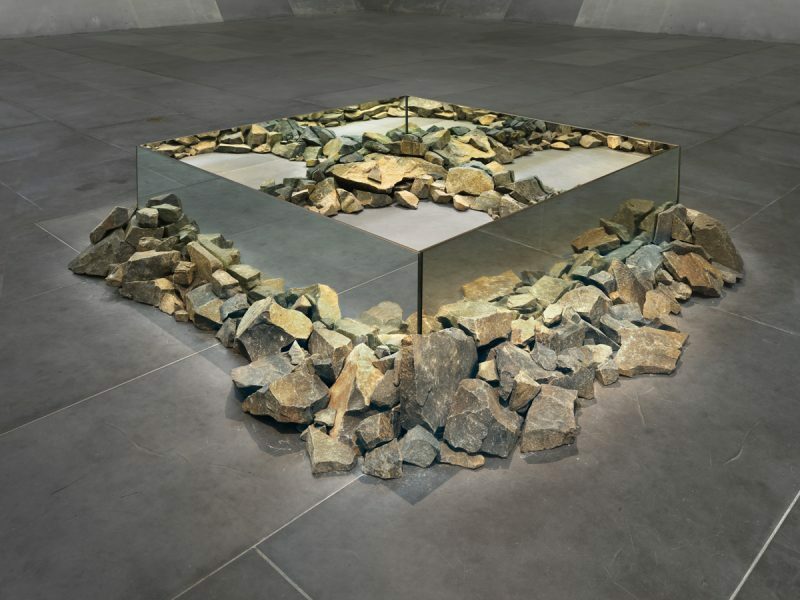 Robert Smithson, Rocks and mirror square II, 1971, basalt rocks and mirrors, NGA, © Robert Smithson/VAGA/Copyright Agency. Grabbing headlines in Australia and abroad, Hogan’s response mirrored the nation’s bilious response to the cost and the unorthodox technique behind Pollock’s work. A four-metre long abstract expressionist painting, Blue Poles features Pollock’s trademark style of multiple layers and drips of oil paint with eight blue strips flung vertically across the surface. Financially endorsed by then Prime Minister Gough Whitlam, the purchase of Blue Poles was considered part of Whitlam’s push for a culturally enriched Australia. With the new NGA building still in the planning stages and no permanent location to display Blue Poles, the purchase was an audacious decision made by a team tasked with assembling a standout collection. Led by James Mollison, an executive who had previously spent time as the exhibitions officer of the Commonwealth Prime Minister’s Department, the efforts of the official NGA Acquisitions Committee formed the basis of NGA’s four distinct collections – Australian art, Aboriginal and Torres Strait Islander art, Asian art, and European and American art. Despite its contentiousness, it is clear the purchase of Blue Poles was indeed an astute move. Now more the golden egg than the goose, Blue Poles is one of the NGA’s most visited artworks, rarely leaving the shores of Australia and remaining a highlight of the NGA’s American art collection. It is currently worth an estimated $350 million and stands as the focal point of American Masters 1940-1980, an exhibition of over 150 works highlighting the NGA’s American art collection. Reflecting a broad scope of mediums, American Masters features painting, sculpture, video, installation, prints, drawings and photography. About three-quarters of the works in American Masters were purchased before the NGA opened, and in 1977 Mollison became the gallery’s inaugural director, continuing to build the gallery’s collections until the completion of the gallery in 1982. Mollison’s role on the Acquisitions Committee in the 1970s and 1980s played a significant part in driving the focus of the American art collection and his hand is evident throughout American Masters. 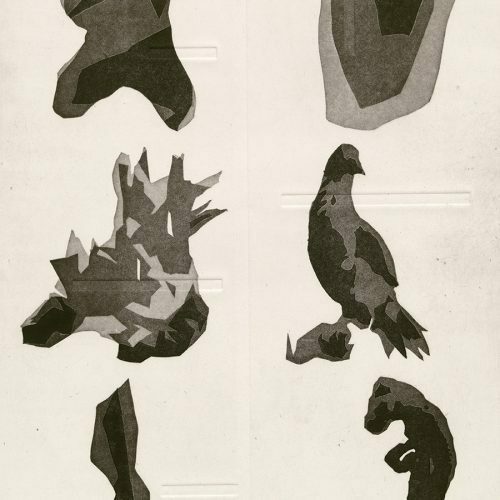 Louise Bourgeois, C.O.Y.O.T.E. 1941-48, painted wood, NGA, © Louise Bourgeois/VAGA/Copyright Agency. 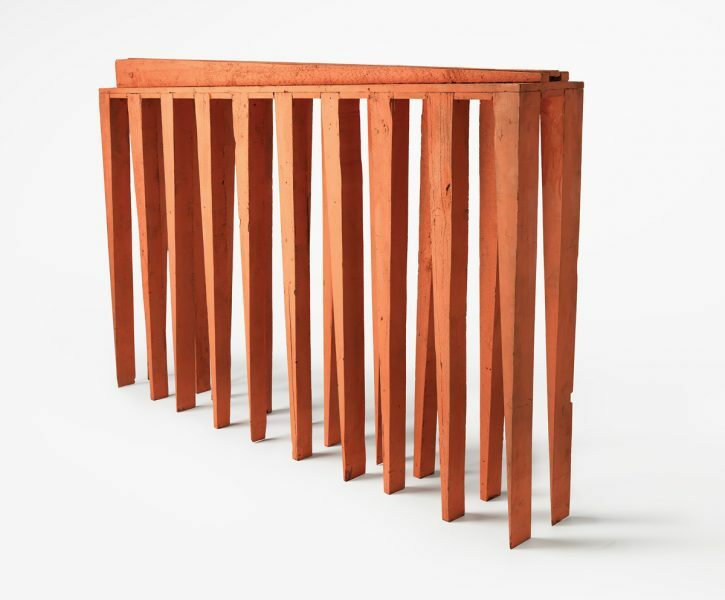 Alongside Blue Poles, another purchase led by Mollison was Louise Bourgeois’s C.O.Y.O.T.E, 1941–48, acquired for the NGA in 1981 before her first retrospective exhibition at the Museum of Modern Art in New York. 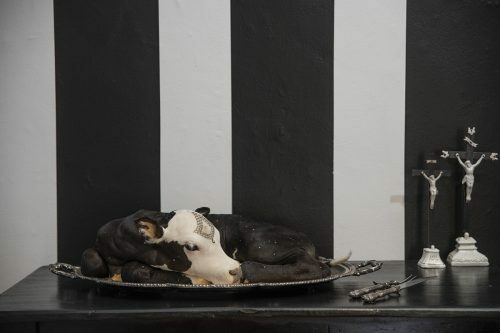 An example of Bourgeois’s early sculptural work, C.O.Y.O.T.E was originally created with two companion pieces, the result of new studio space allowing the artist to construct larger works. With spindly wooden legs crafted to evoke childhood memories of hiding beneath a kitchen table with her brother, C.O.Y.O.T.E was originally titled, The Blind Leading the Blind. In 1979, during the lead up to an exhibition at Manhattan’s Xavier Fourcade Gallery, Bourgeois gave the wooden sculpture a new coat of fleshy pink paint and renamed it C.O.Y.O.T.E, an acronym for ‘Call Off Your Old Tired Ethics’. With most pieces drawn from storage, American Masters includes a number of diverse works rarely seen together. Artists Robert Mapplethorpe, Lee Krasner, Cindy Sherman, Cy Twombly and Claus Oldenburg are represented in the exhibition, as are Andy Warhol and Roy Lichtenstein. Looking back through the context of international art history and the place these artists hold as pioneers of their time, the strength of the NGA’s American art collection becomes very clear. Within American Masters are worthy examples of groundbreaking movements encompassing abstraction, pop art, colour field painting and minimalism. One exemplary piece in the exhibition is Contingent, 1969, by Eva Hesse, which was among final works the artist created before her death in 1970 at age 34. Contingent is made from fiberglass and latex, materials Hesse had been experimenting with for their unique ability to reflect light and form. Sculptural in configuration, Contingent features eight banner-like panels hanging from the ceiling. Each panel is a mix of cheesecloth, latex and fiberglass and when placed together, they appear to absorb soft light, taking on the golden appearance of textured amber and mimicking the opposing characteristics of both painting and sculpture. In contrast to Pollock’s kinetic splashes of paint and the delicate materials of Hesse’s Contingent, Willem de Kooning’s Woman V (1952–53) lends a viscerally figurative element to American Masters. Purchased for the NGA in 1974, the oil and charcoal image is executed with vigorous strokes of paint inspired by the angular shapes of ancient Mesopotamian sculptures. Also displayed in American Masters is Sol LeWitt’s conceptual work Wall Drawing no. 380 a-d, (1982). Featuring an abstract collection of isometric shapes recreated across an expansive 19 metre wall, LeWitt’s work graces the NGA interior for the first time since its purchase in 1987. Sol Lewitt, Wall drawing no.380, a-d 1982, pencil and coloured ink washes, NGA, © Sol Lewitt (1928).